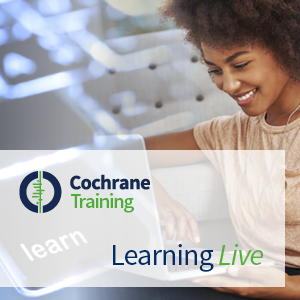 In these videos from a Cochrane Learning Live webinar, Per Olav Vandvik from the MAGIC research and innovation programme demonstrates MAGICapp and discuss the context and importance of its development. MAGICapp is an authoring and publication platform for guideline and evidence summaries. The platform guides authors through the different stages of planning, authoring, and publishing of high quality content. MAGICapp makes content available to clinicians and their patients in multi-layer format, making it possible to dig as deep into the data as needed to make well-informed decisions. Per Olav Vandvik is Associate Professor at the Department of Health Management and Health Economics at the Faculty of Medicine, University of Oslo, Norway. He is Head of MAGIC, a non-profit research and innovation program. He is also researcher at the Norwegian Knowledge Centre for the Health Services in Oslo and career grant researcher and acting consultant affiliated with the Department of Medicine, Innlandet Hospital Trust-Gjøvik, Norway.